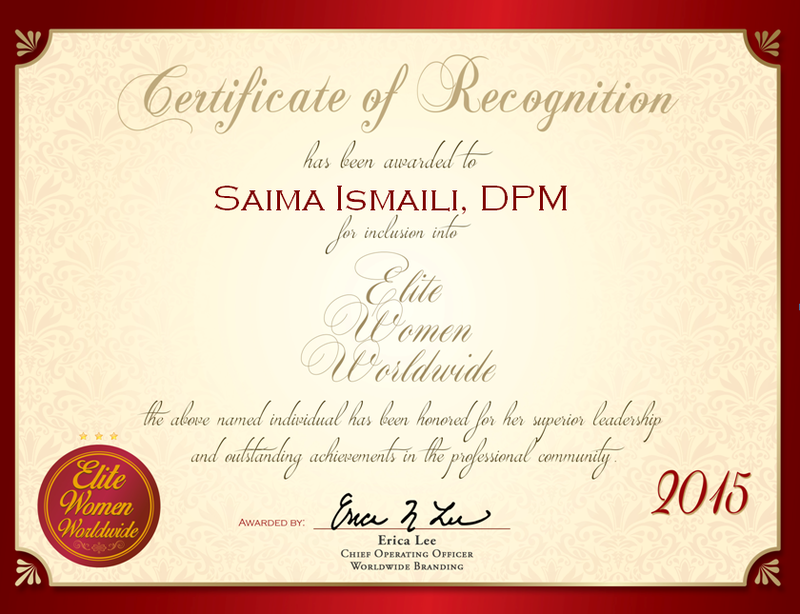 Charleston, SC, October 10, 2015, Saima Ismaili, Doctor of Podiatric Medicine at Carolina Foot Centers, has been recognized by Elite Women Worldwide, for dedication, achievement and leadership in foot and ankle care. Recognized for nearly a decade of invaluable contributions to her field, Dr. Ismaili parlays her extensive knowledge into her role with Carolina Foot Centers, which diagnoses and treats foot and ankle problems. On a daily basis, she meets with approximately 30 patients and specializes in diabetic foot care. 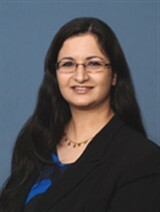 Certified in primary podiatric medicine, Dr. Ismaili shines in her field due to her prior industry experiences and her educational background, which includes her Doctor of Podiatric Medicine through the Scholl College of Podiatric Medicine at Rosalind Franklin University. Upon graduating with her medical degree, she trained for two years at Provena St. Mary’s Hospital. She was inspired to enter the field because a number of her family members had foot-related medical conditions. Dr. Ismaili continues to maintain a connection to the medical field through her affiliations with the American Podiatric Medical Association and the South Carolina Podiatric Medical Association. During her spare time, she loves spending time with her loving family. 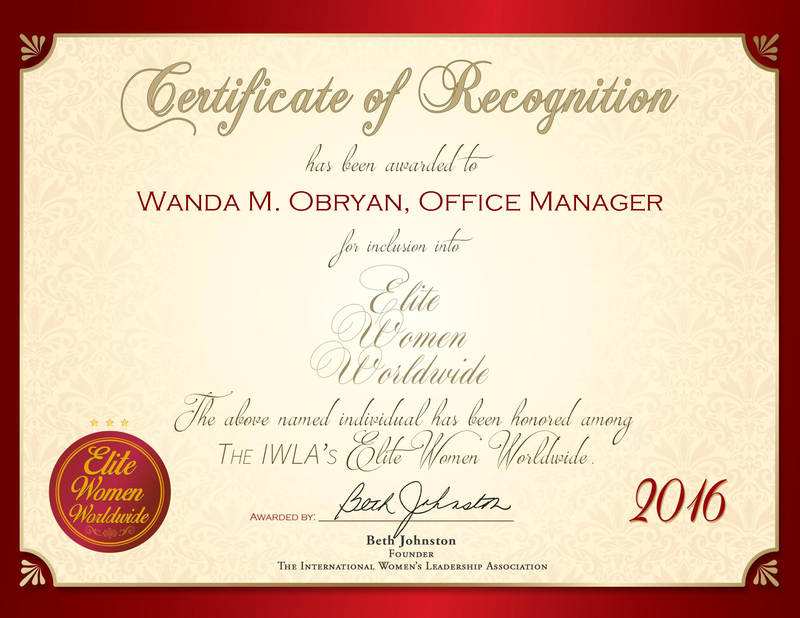 Looking toward the future, she intends to establish better patient care and expand her practice.